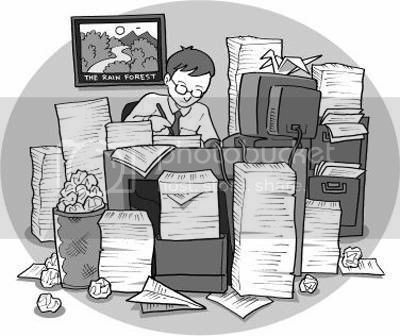 If i said to you what is paperless? all of you know it. it's mean that we reduce use of paper. for write, sending letter even make a book. the next question is who use a lot of paper? Most of it company and school. For company they can save a paper by eliminate letter using email, so a company don’t need a paper for send message anymore. Another step they also can reduce paper by using it twice. we know that a sheet of paper have two side, upper and down. Some company after use a paper, example for proposal, they thow to garbage after use it. But actually we can use that paper again with another side that still empty. It's more wise. For school, including college, it more difficult. Actually we can use same why that we do to company but the problem is a teacher. Some teacher offended if they receive a used paper from student. Reduce a paper that we call paperles, it's important thing to save our trees. Because a paper made from trees, save a paper also can save a trees it's meang save our selves. Paperles doesn’t complicate as we think, it began from our self first. I thing each of us can save paper, it so easy, just need a consistency. I hope this simple article can give you a little explanation of paperless, I know that I made a lot of mistake when i write it. It’s ok, this is my first time I post my article in english, so if I made a mistake would you please give me advice where that mistake so I can correct. Thanks for your attention.